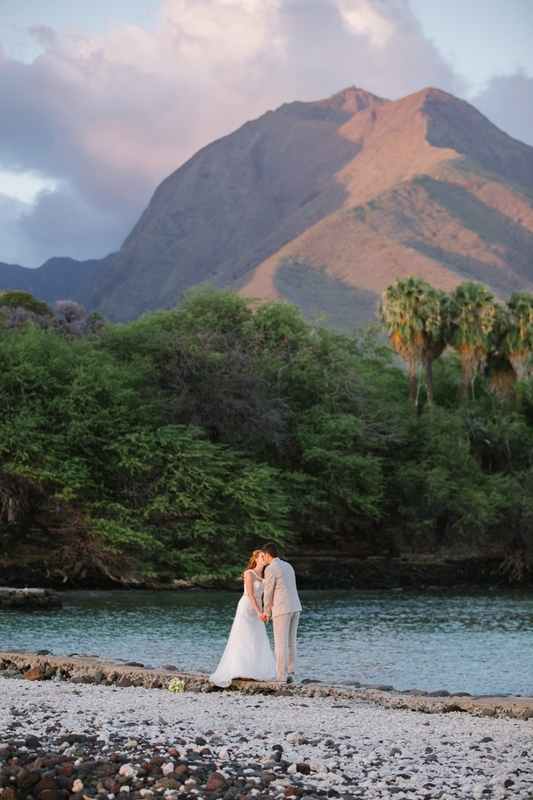 If you’ve never been to Hawaii (or even if you have! 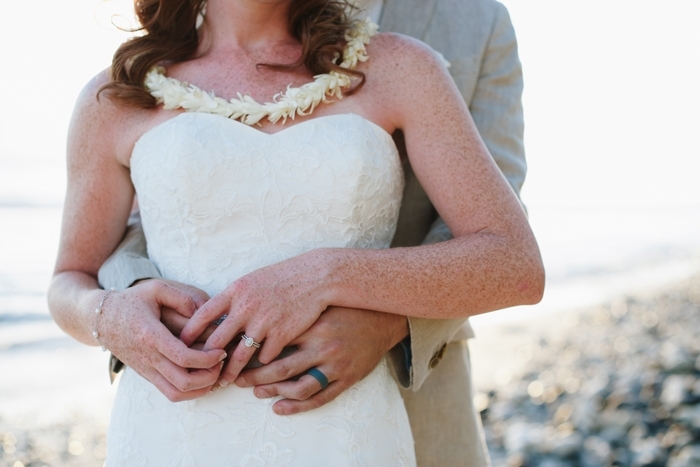 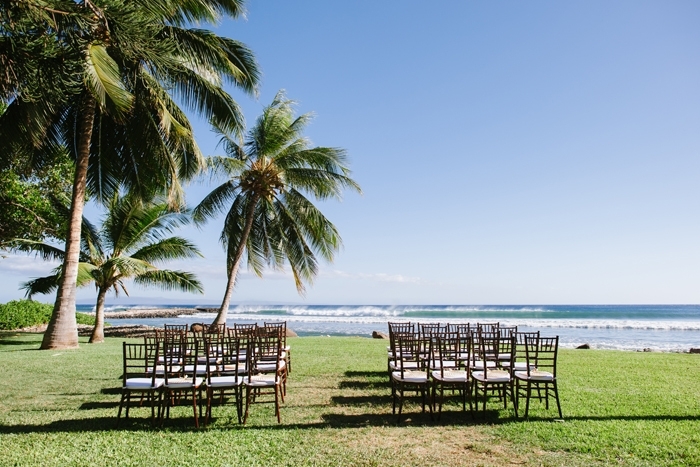 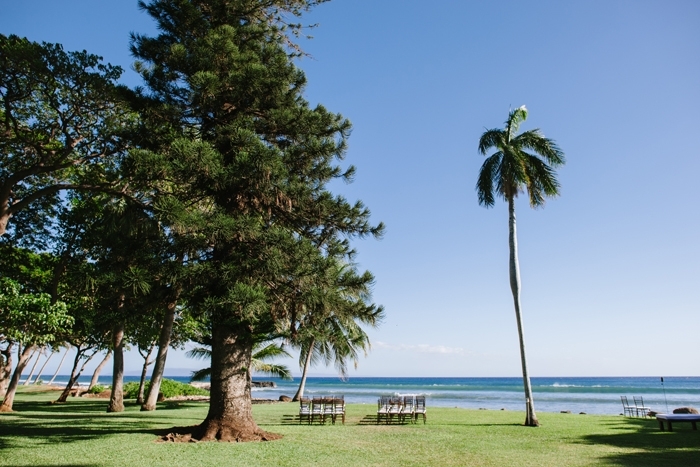 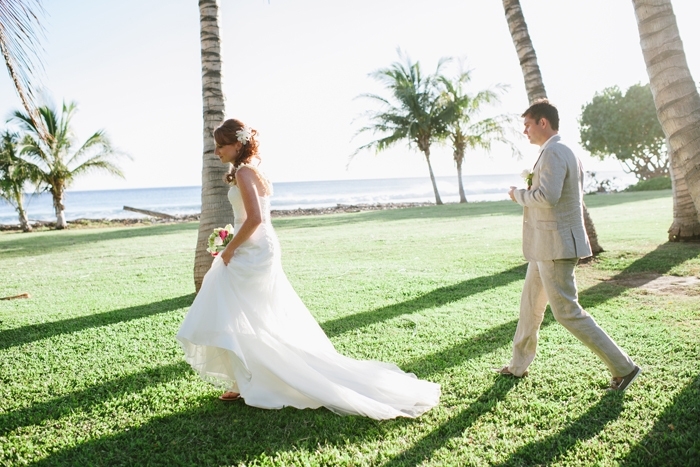 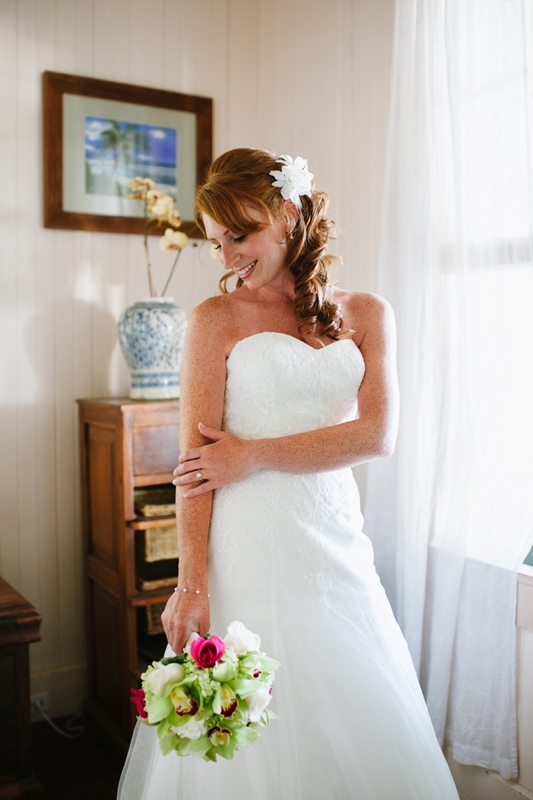 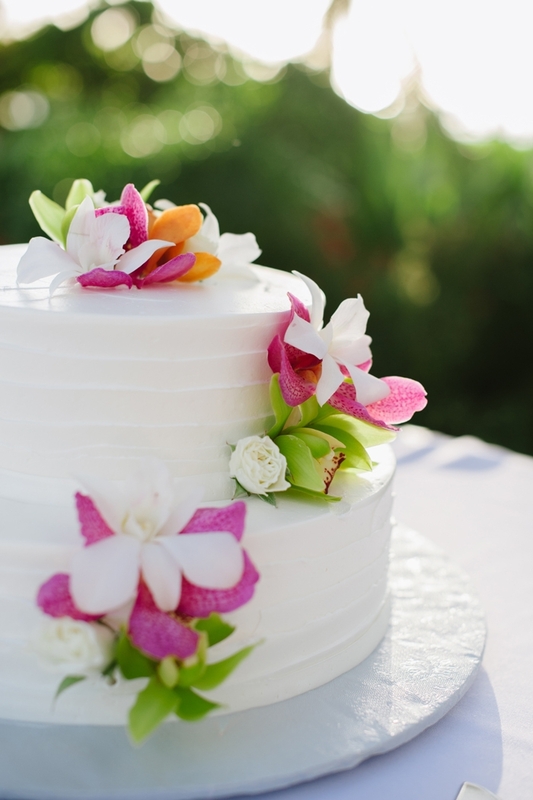 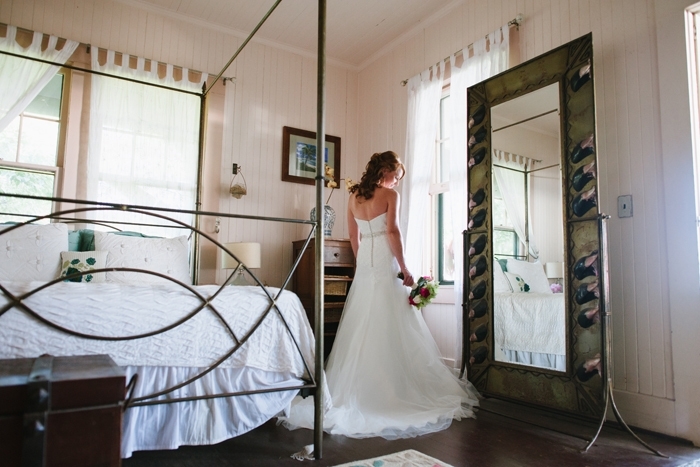 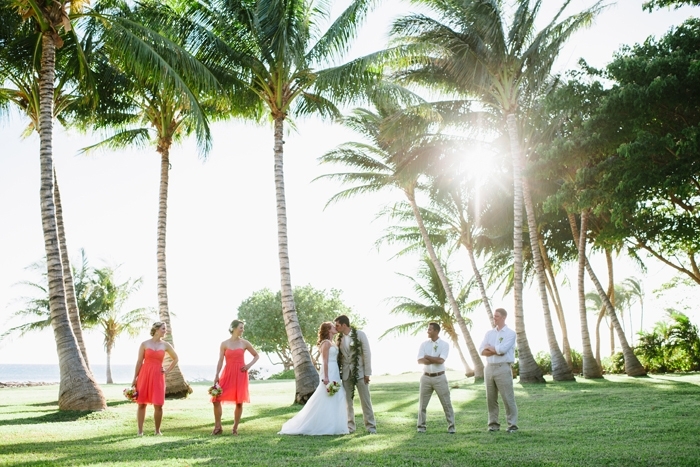 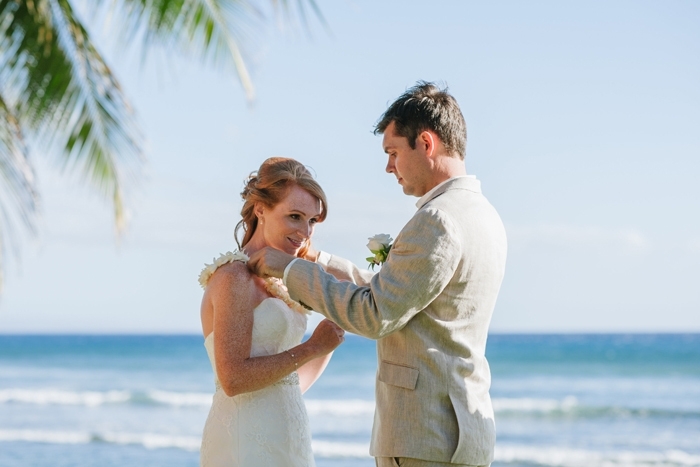 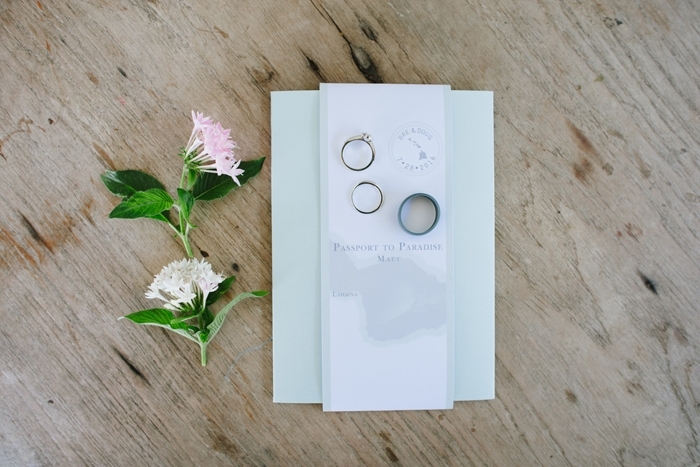 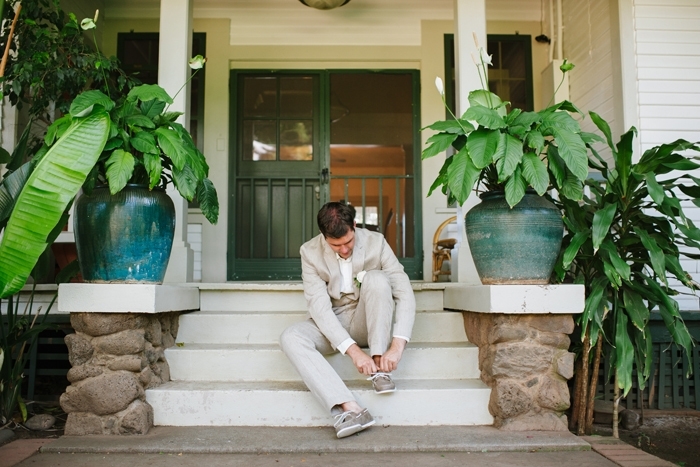 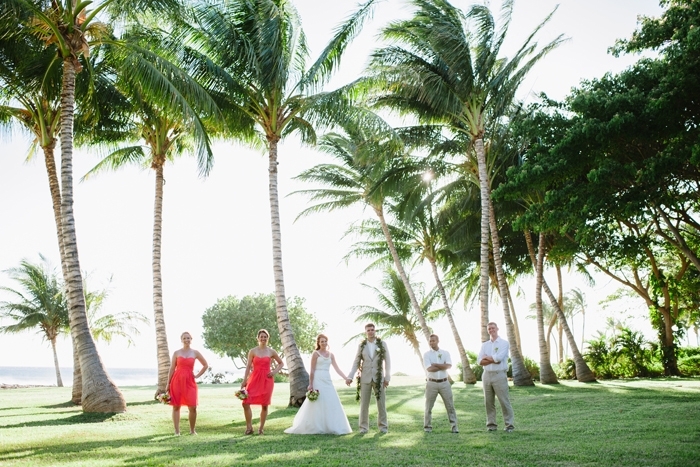 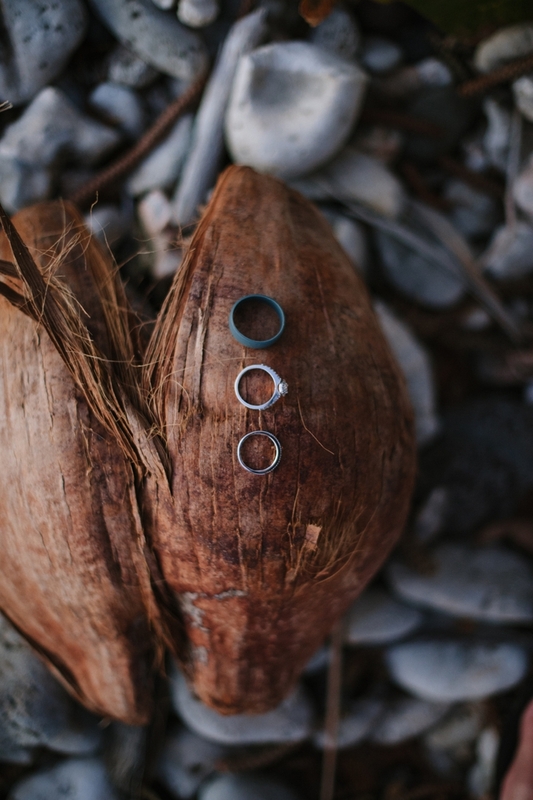 ), this wedding just might make you and your sweetheart want to start packing your bags! 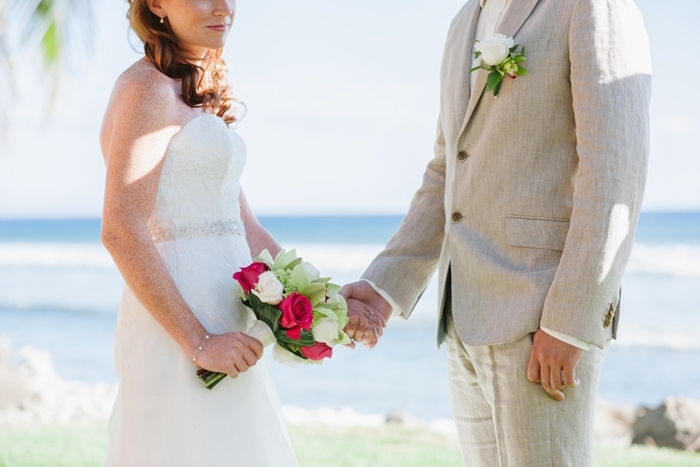 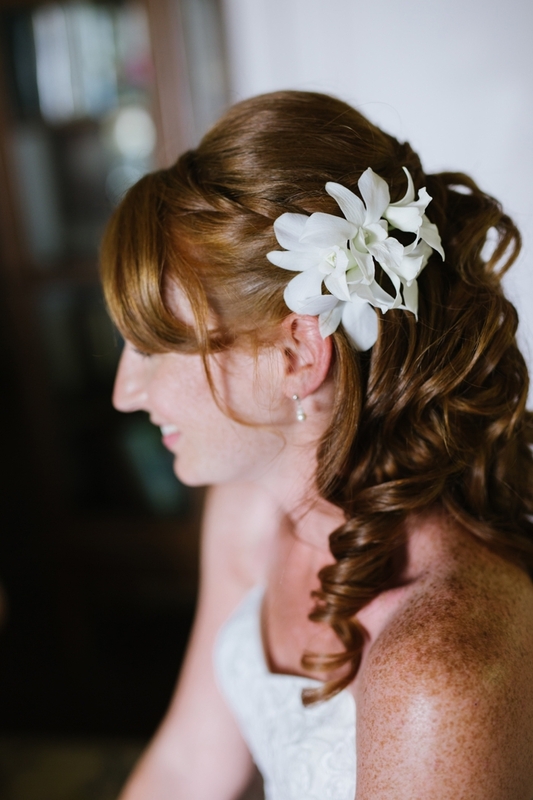 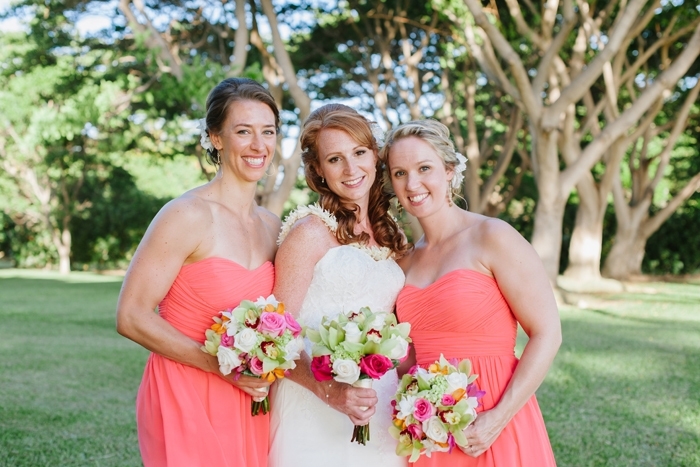 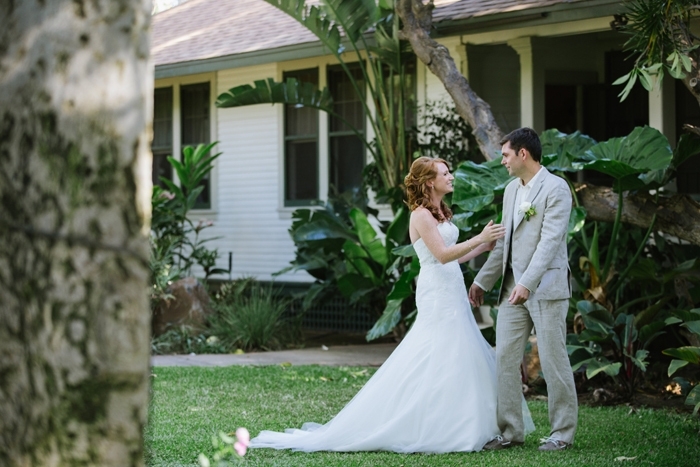 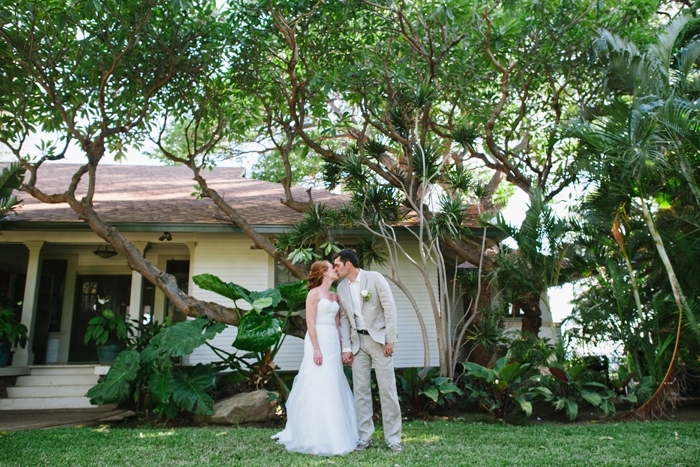 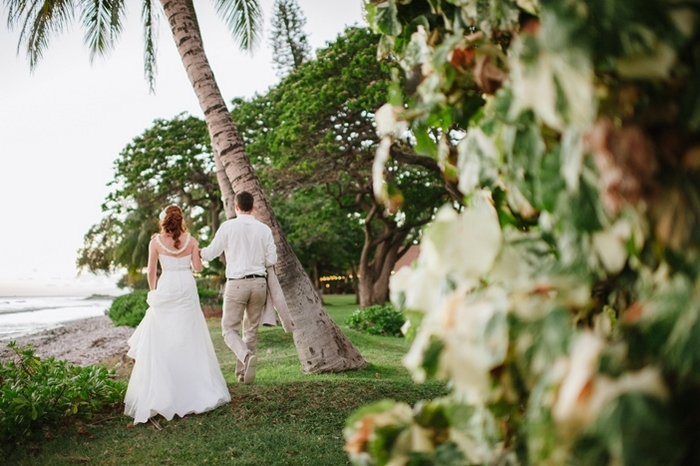 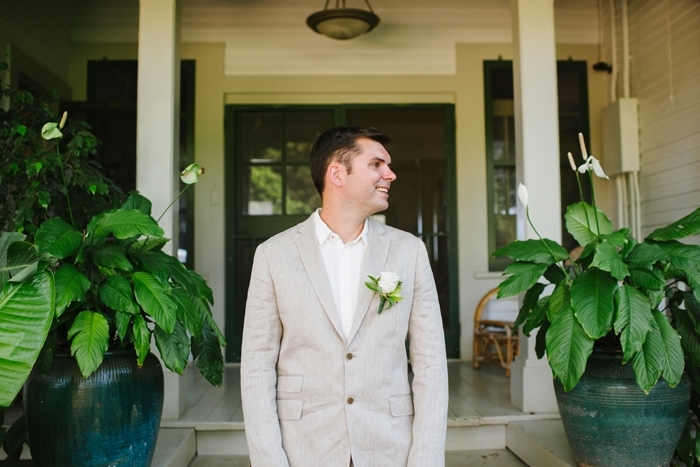 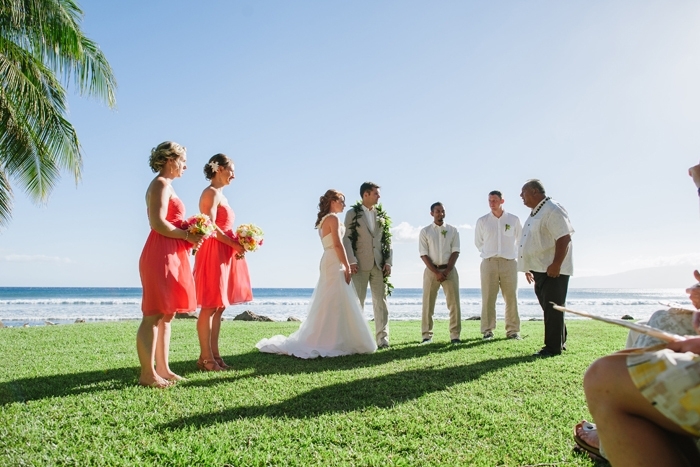 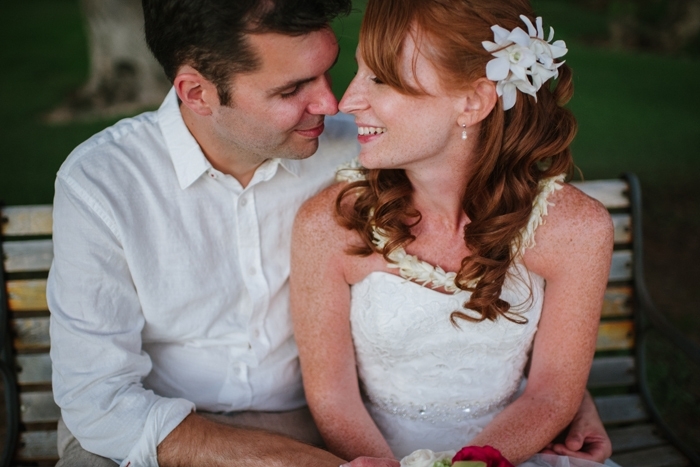 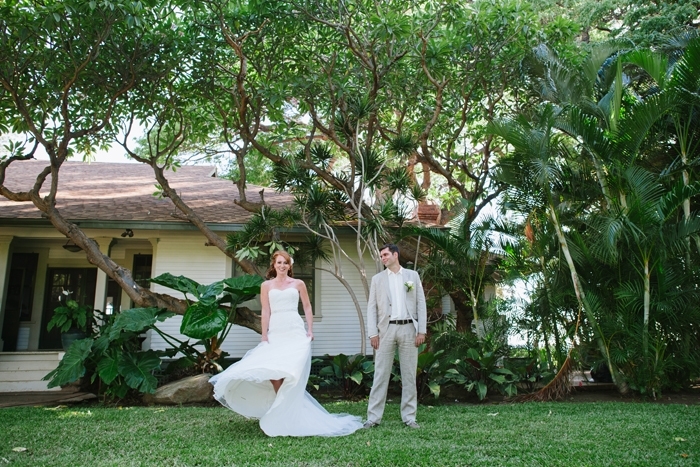 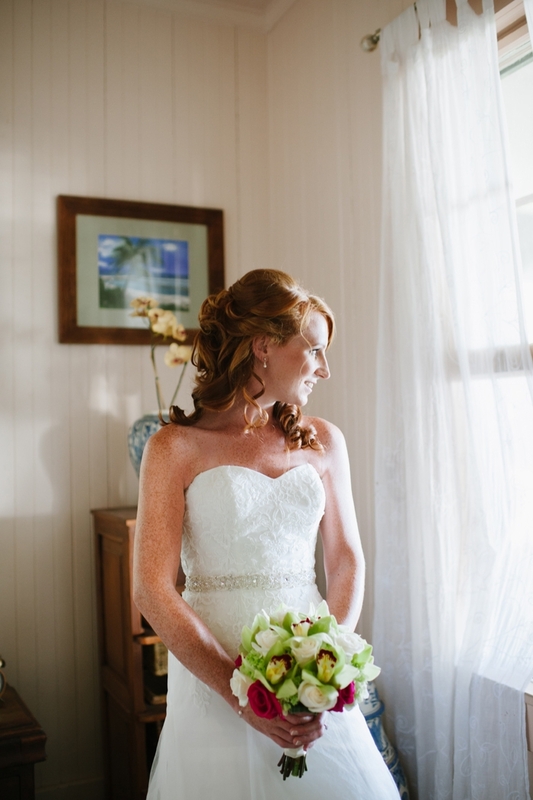 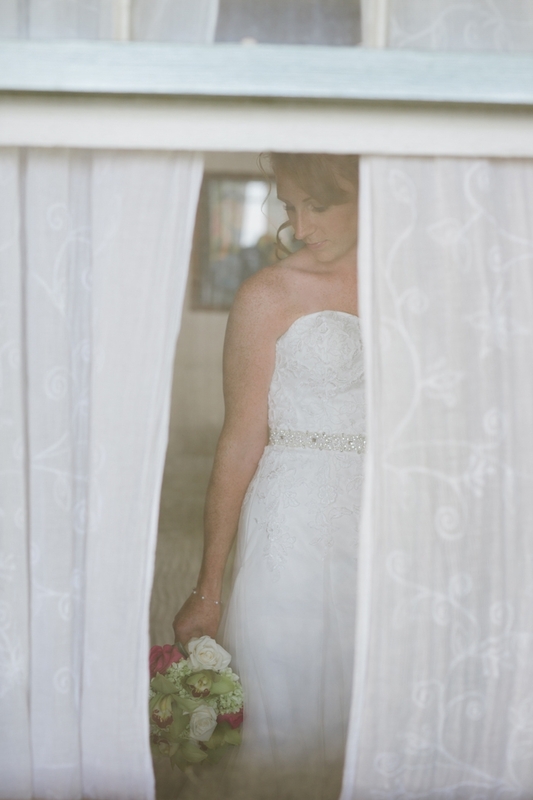 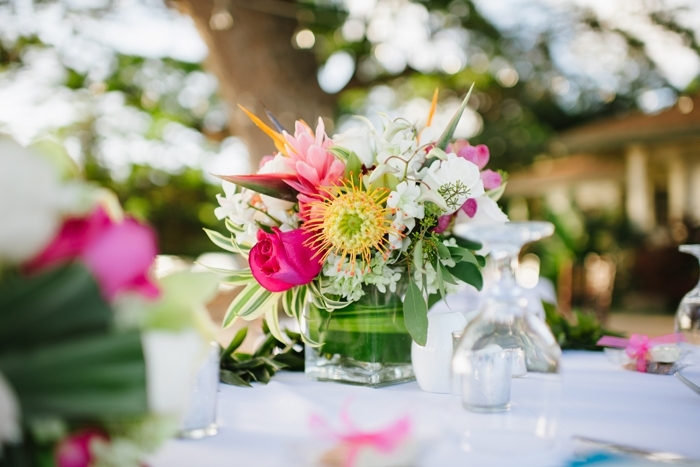 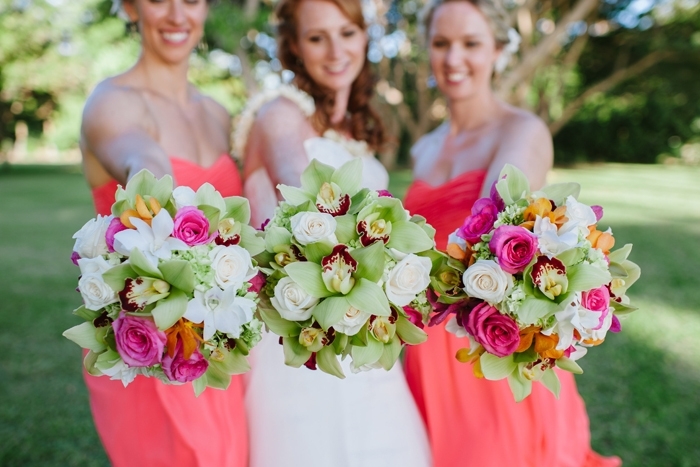 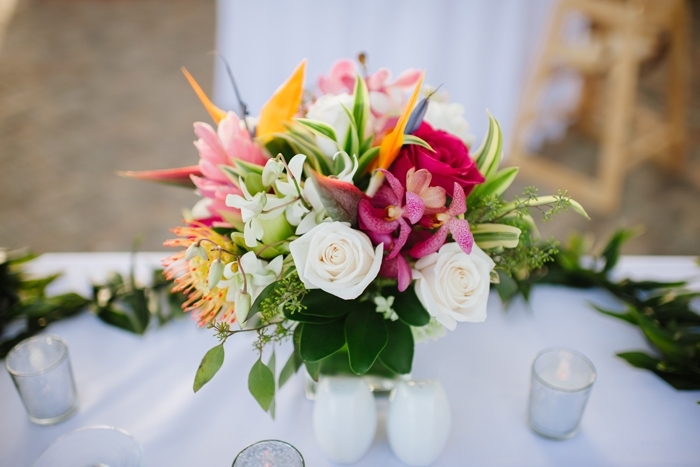 Thanks so much to Naomi Levit Photography for sharing this lovely wedding with us! 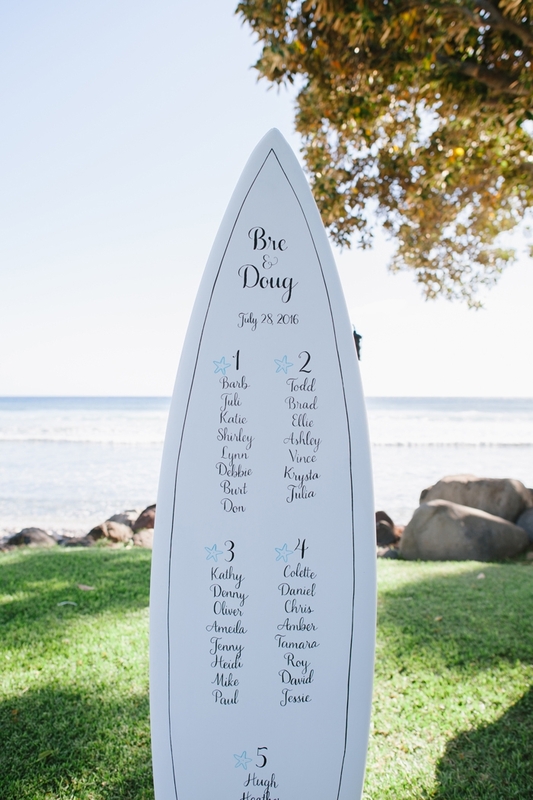 We knew we didn’t want a big wedding to begin with and we both love Maui (and so do our parents) so we decided a beach wedding was the way to go! 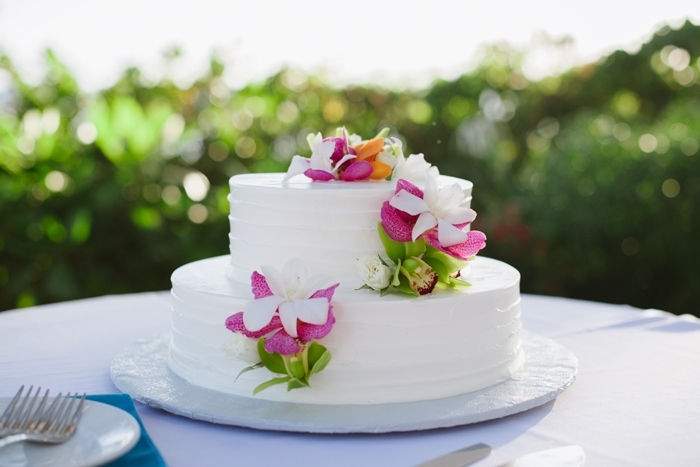 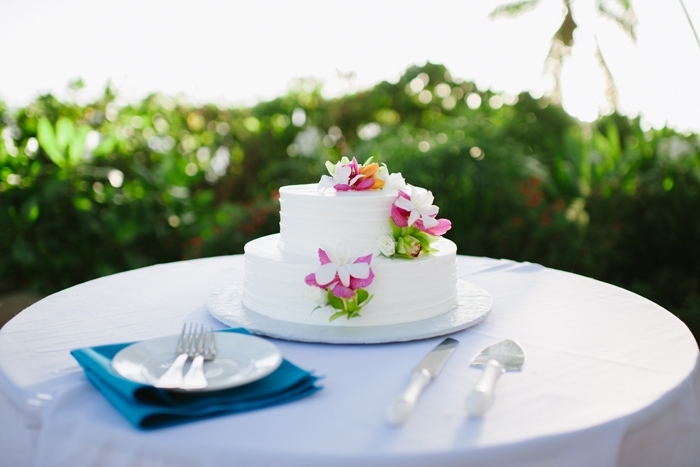 Since it was a destination wedding, we didn’t get a chance to visit venues and taste food/cakes. 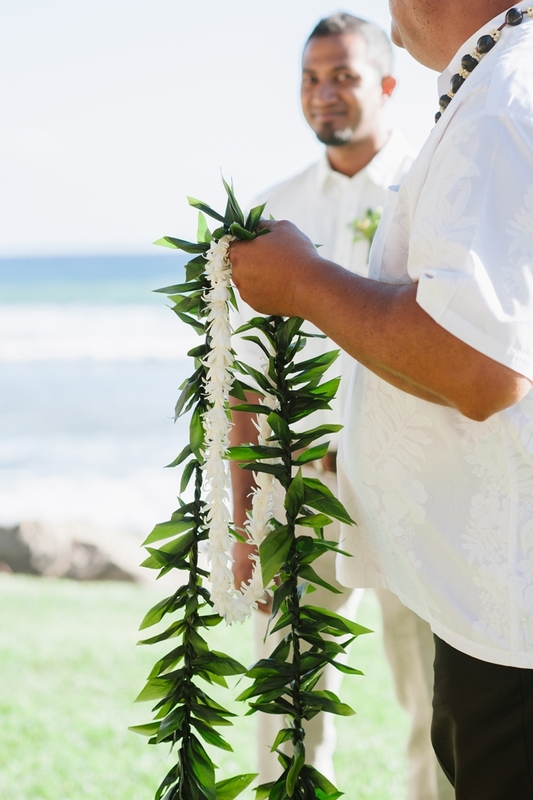 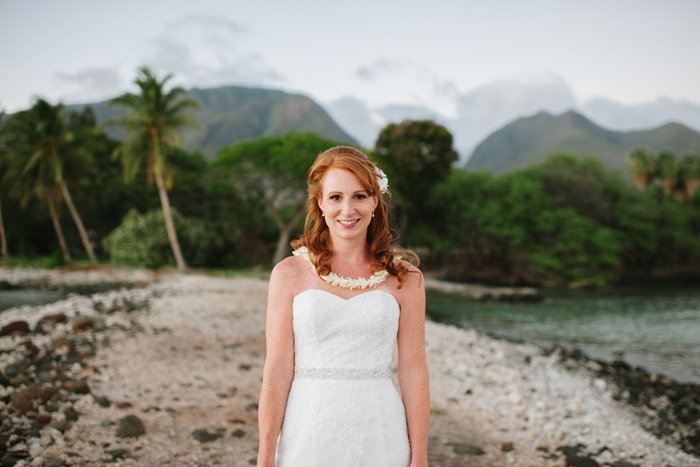 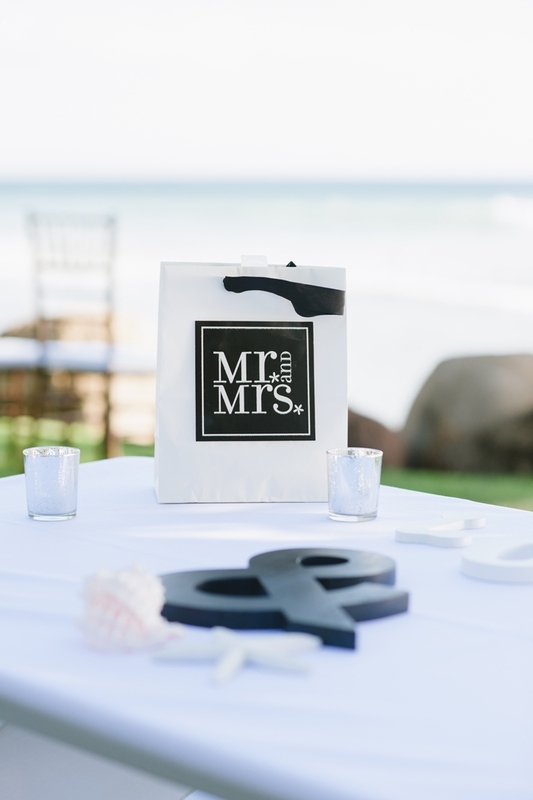 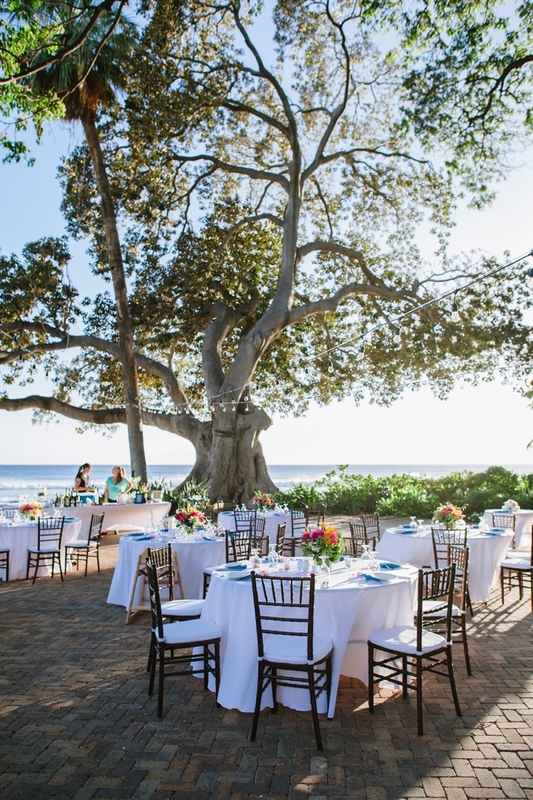 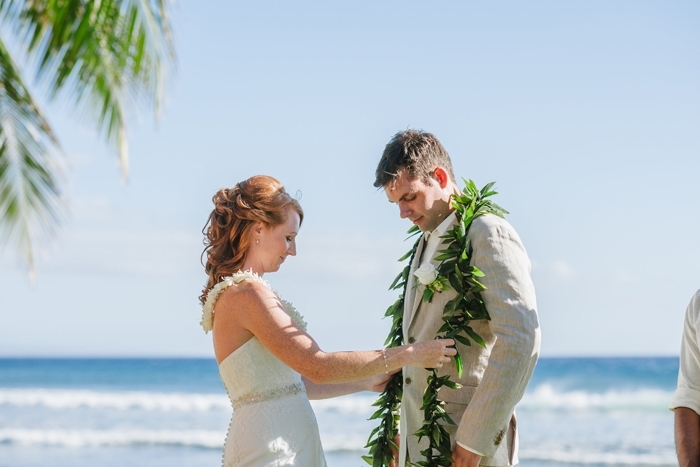 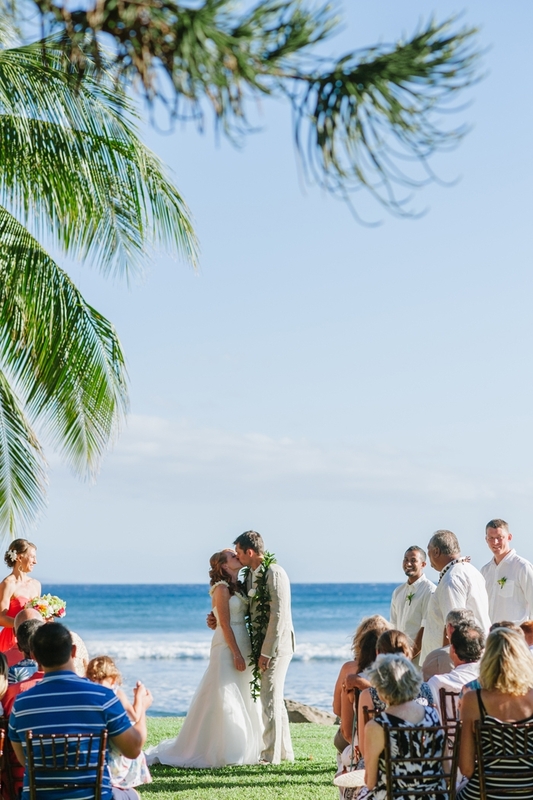 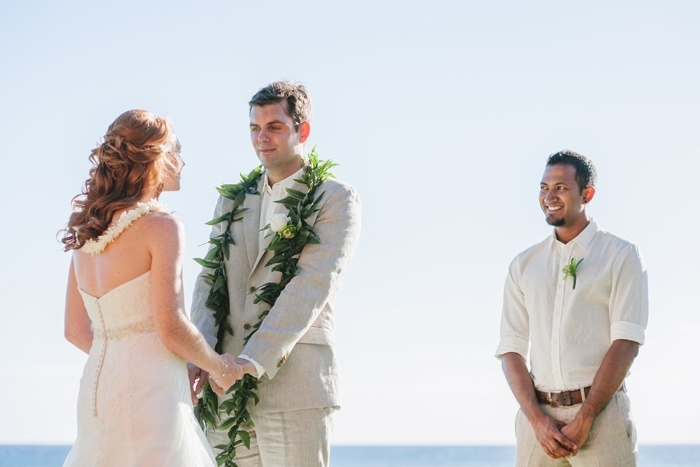 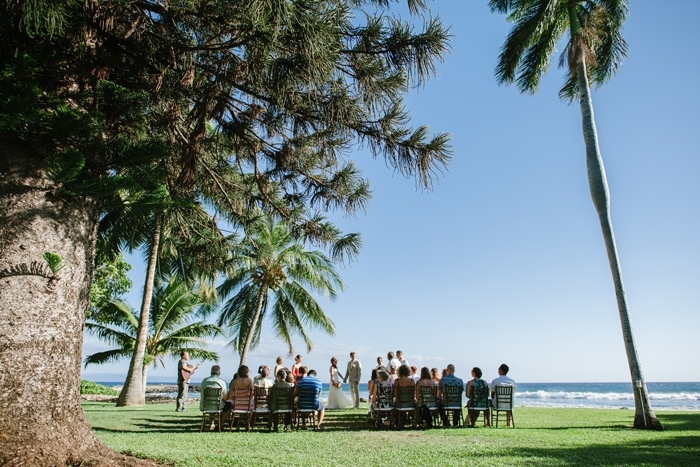 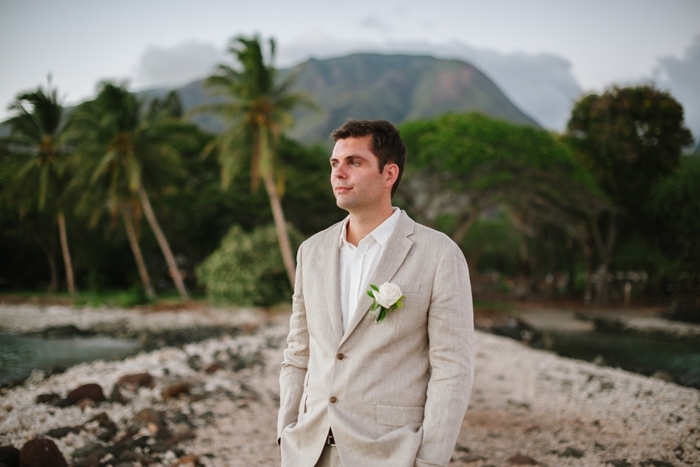 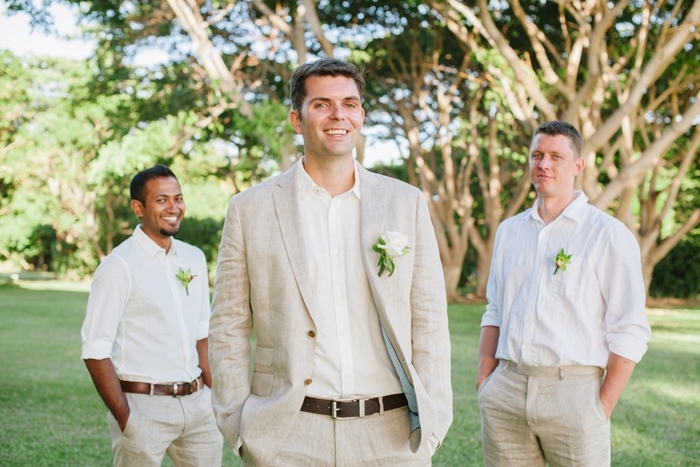 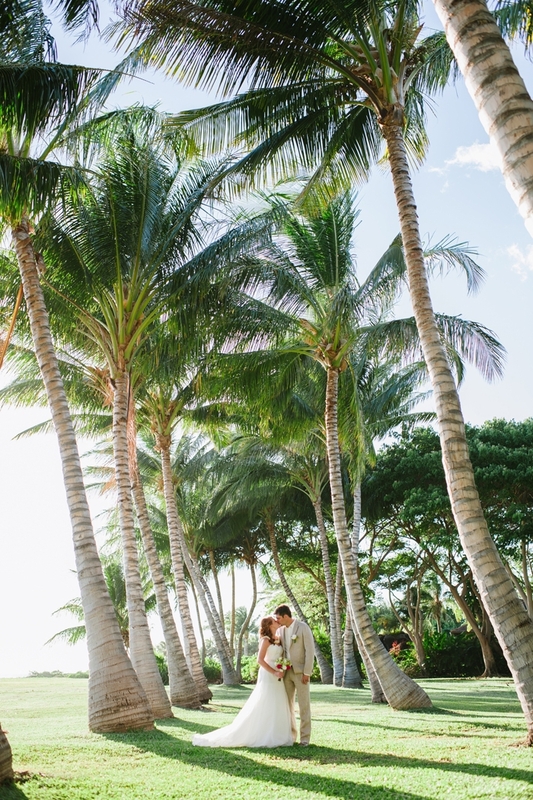 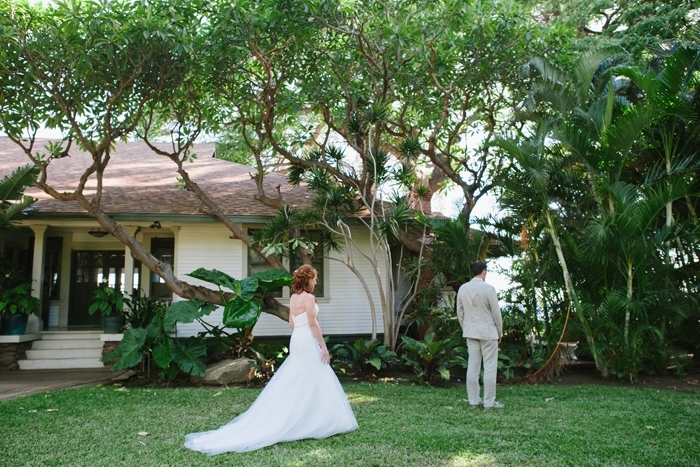 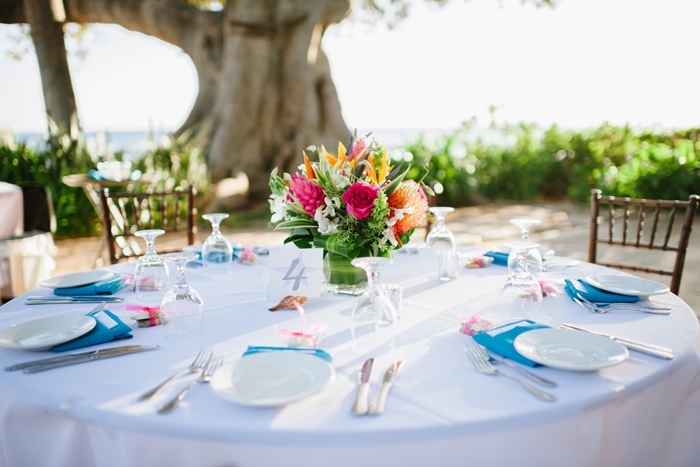 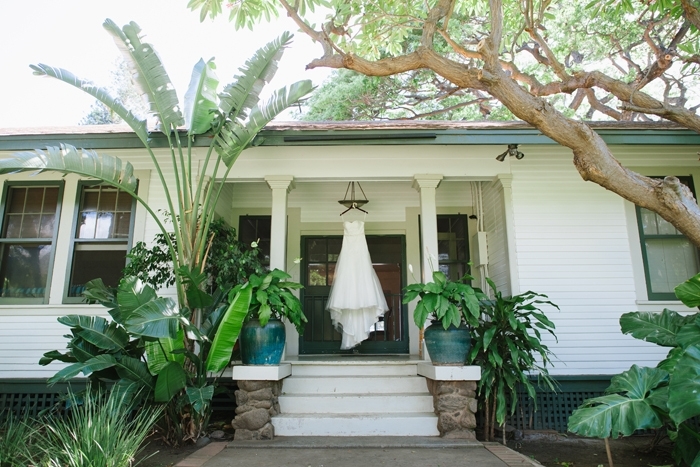 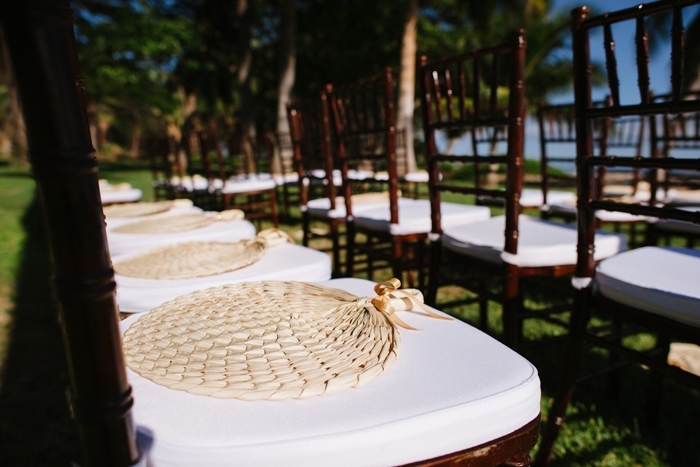 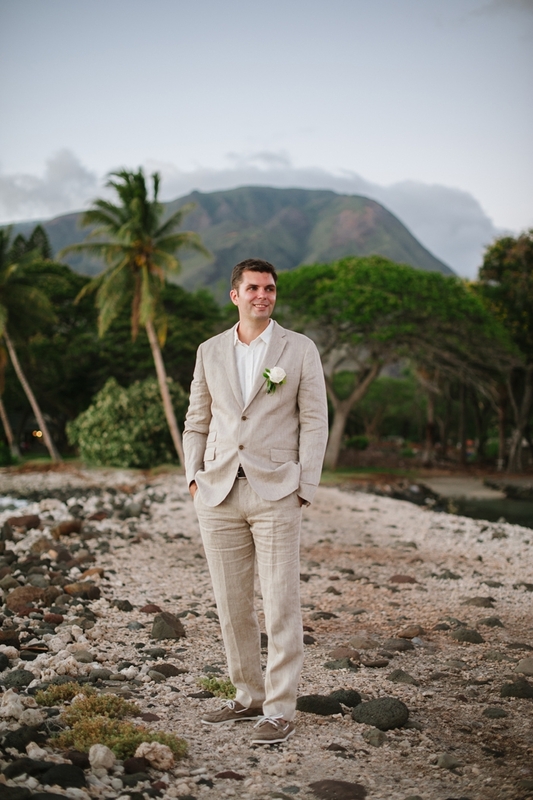 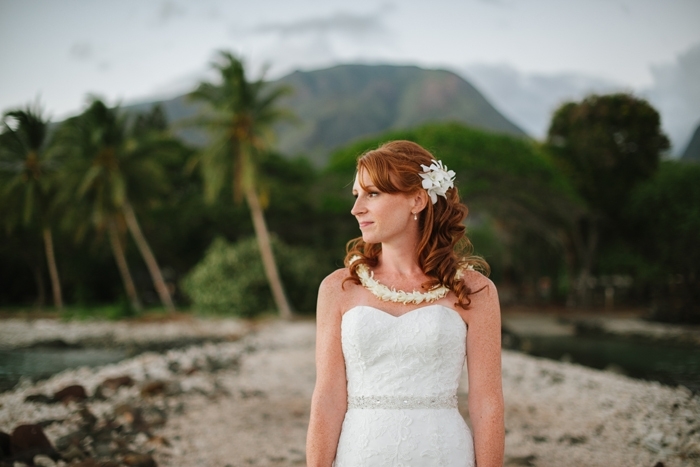 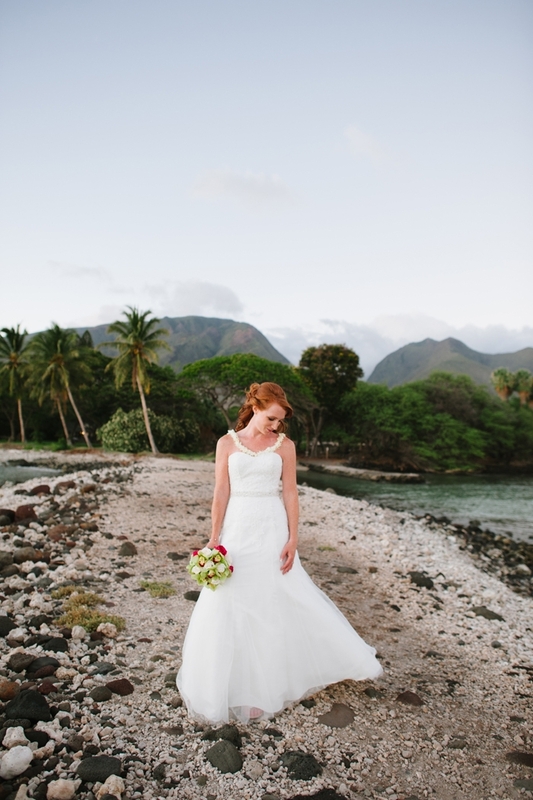 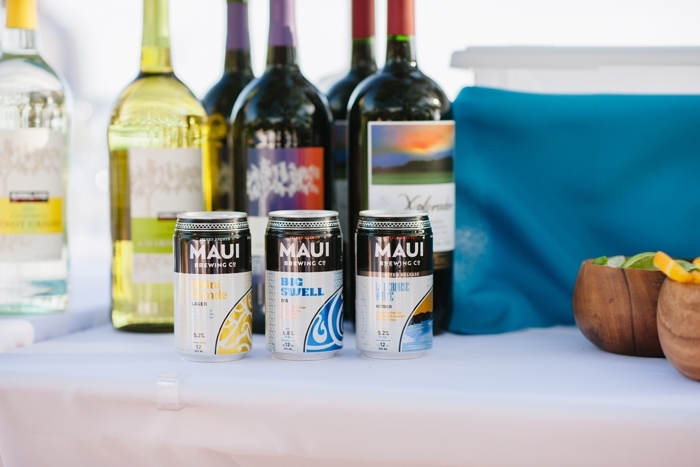 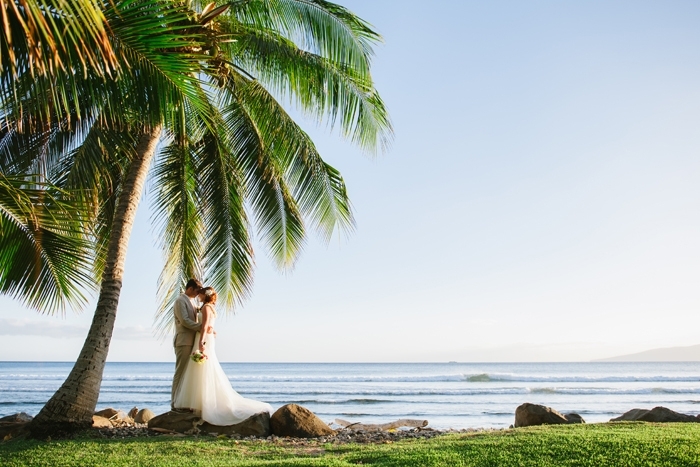 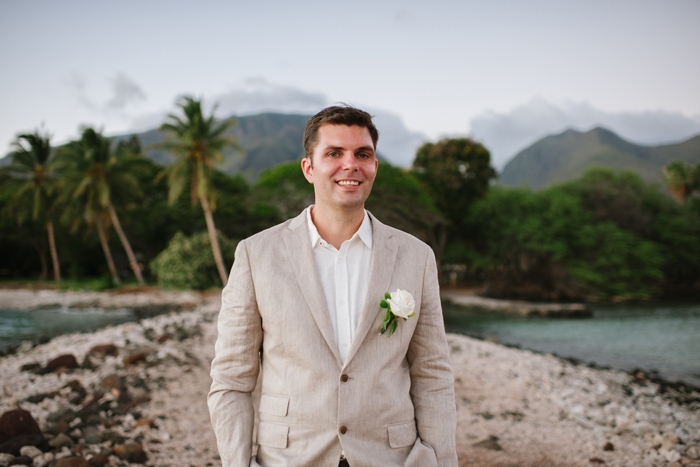 We relied on advice from our wedding planner Makena Weddings for all of our decisions and were very happy with everything she helped us pick out. 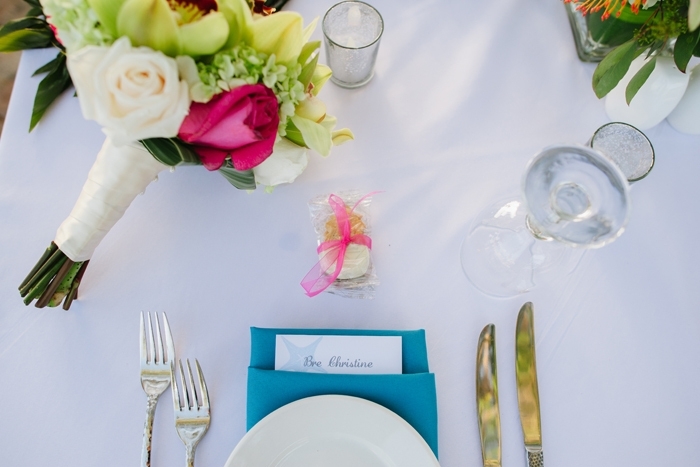 No, we invited all our family, even though we knew many couldn’t come, and our closest friends. 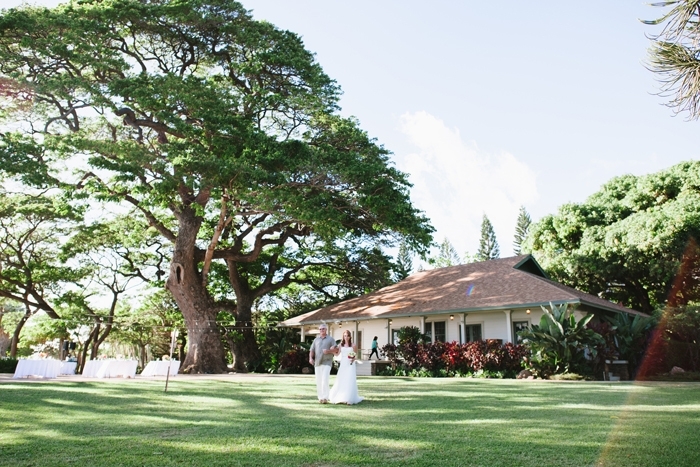 From the beginning, we wanted a small destination wedding so we planned a reception to have back home after the wedding. 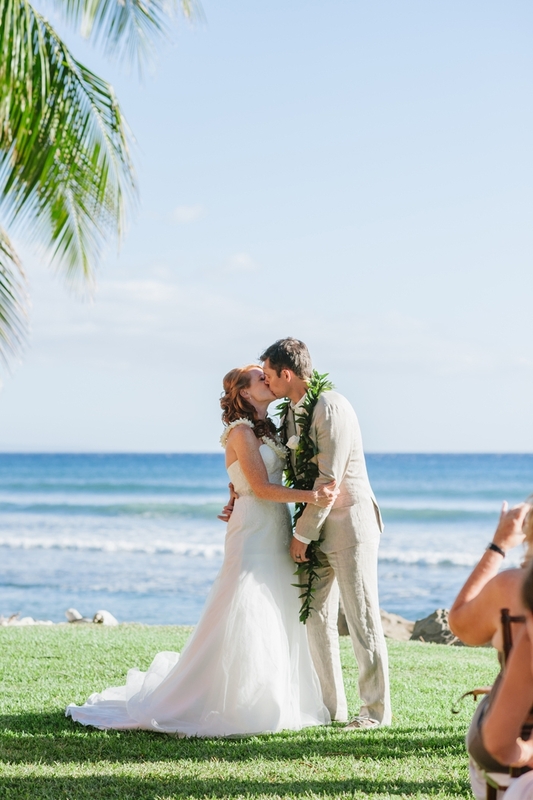 Having two receptions was a lot of work but definitely worth it because we got our dream beach wedding and still were able to celebrate with all our family and friends back home. 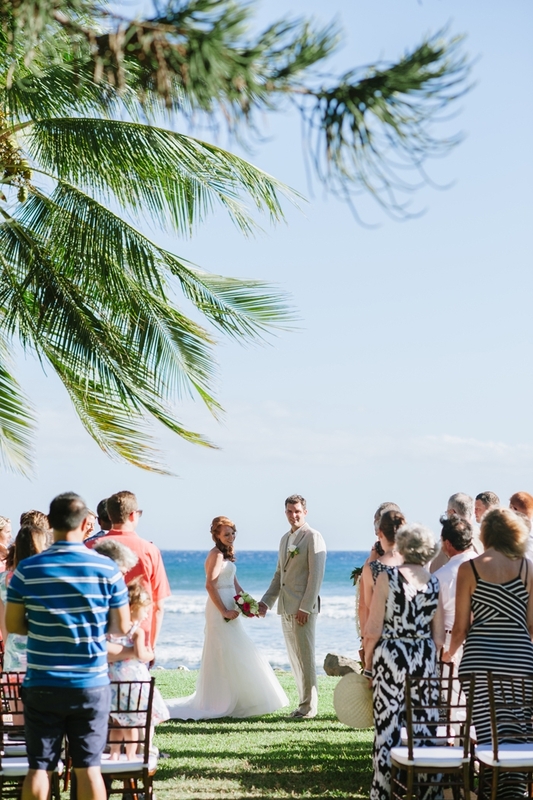 Being on the beach in front of all our friends and family was amazing. 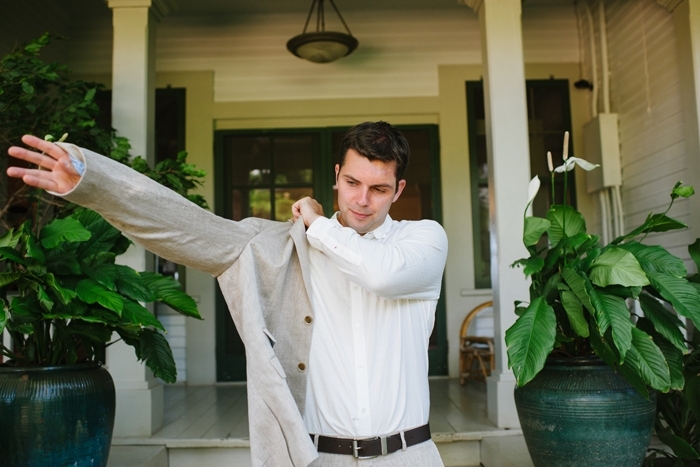 Our officiant, who we just met the day before, made the ceremony special and added humor throughout the whole thing. 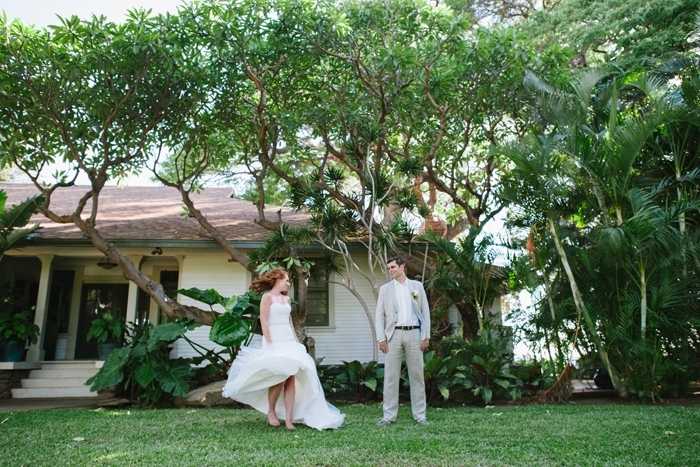 Our photographer knew exactly where to get the best photos during the ceremony and reception. 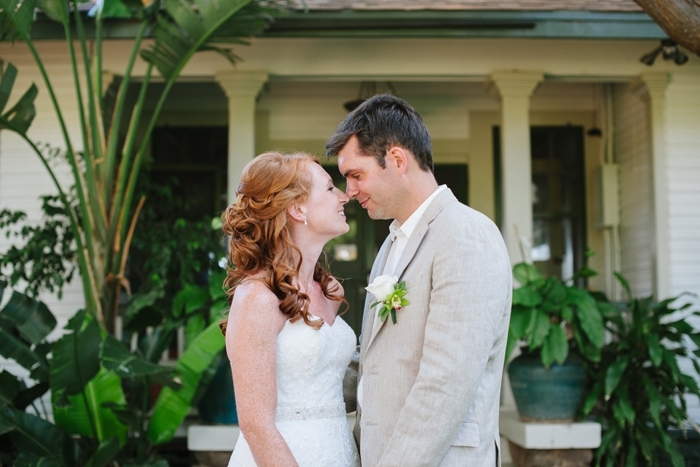 We are in love with all of our wedding photos! 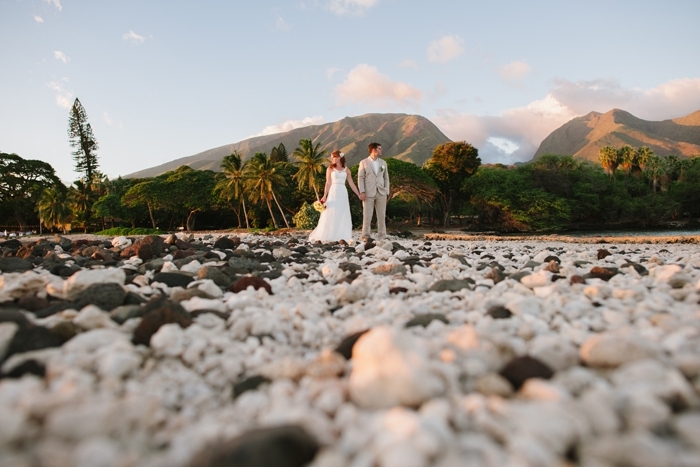 The location was breathtaking and everything was set up just as we had pictured it. 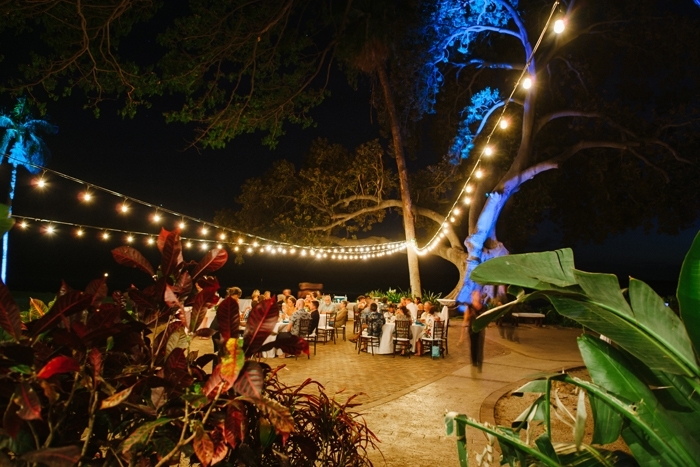 We got to enjoy amazing food with all our friends, watch the sunset and then danced the night away. 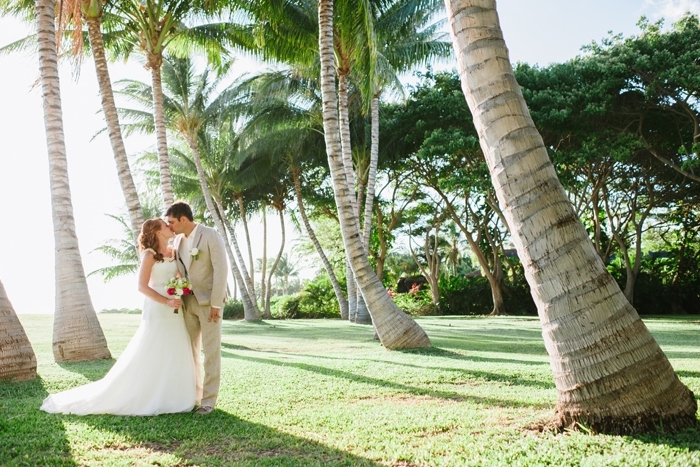 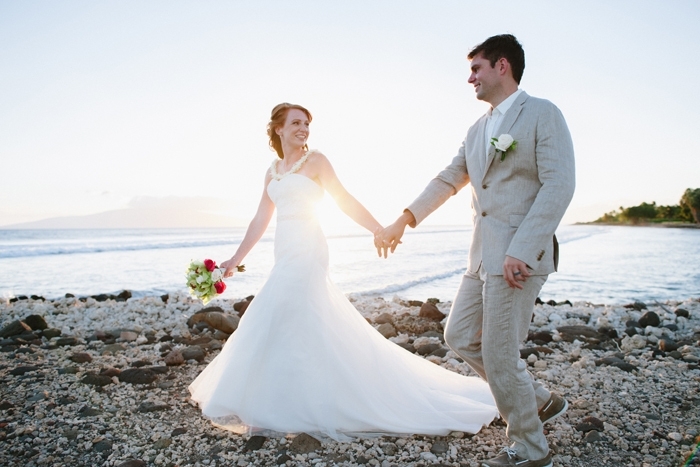 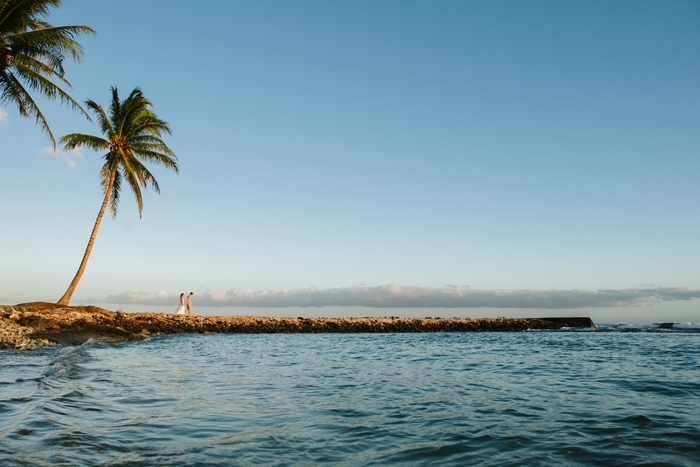 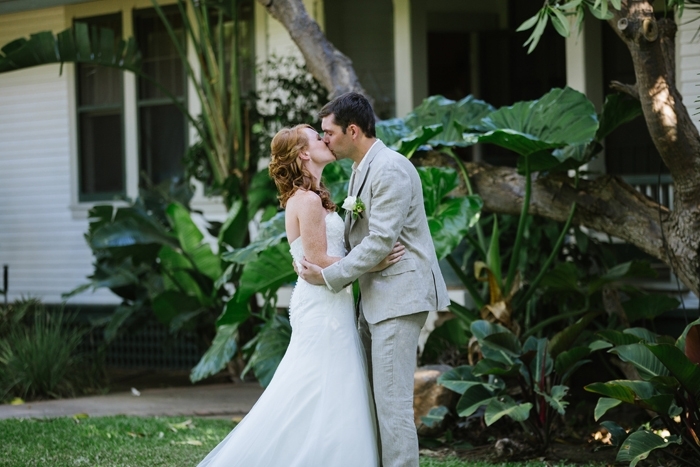 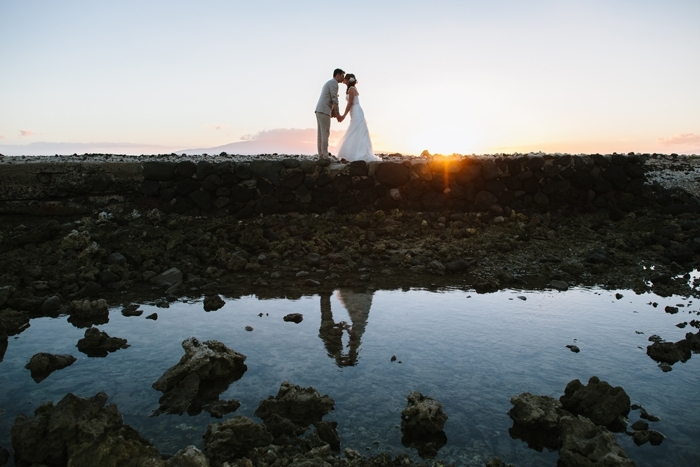 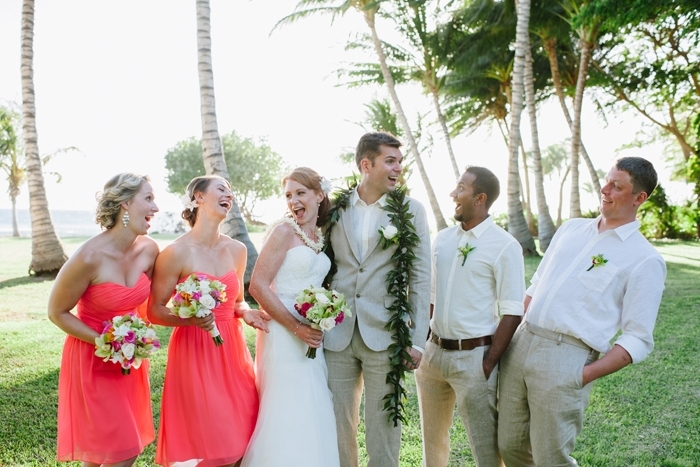 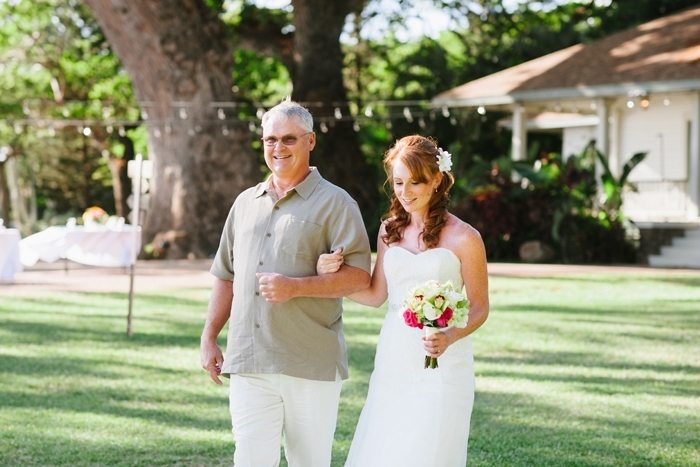 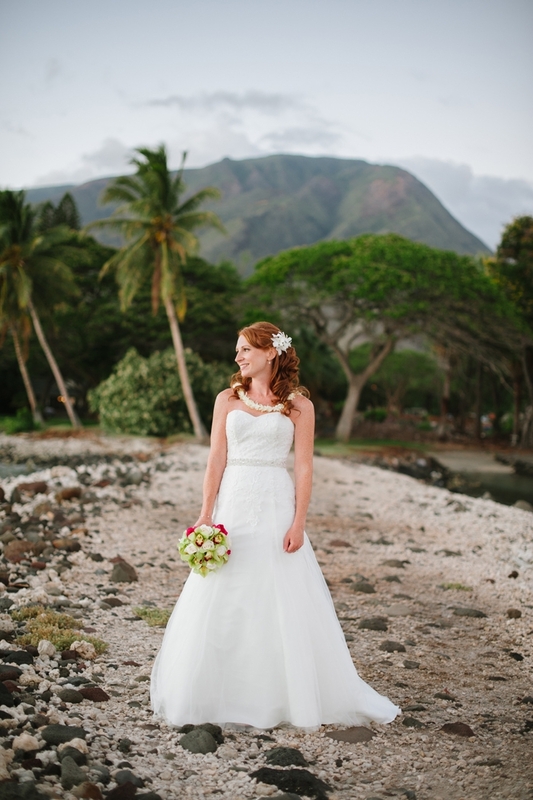 Having a small destination wedding on Maui was the best decision we made. 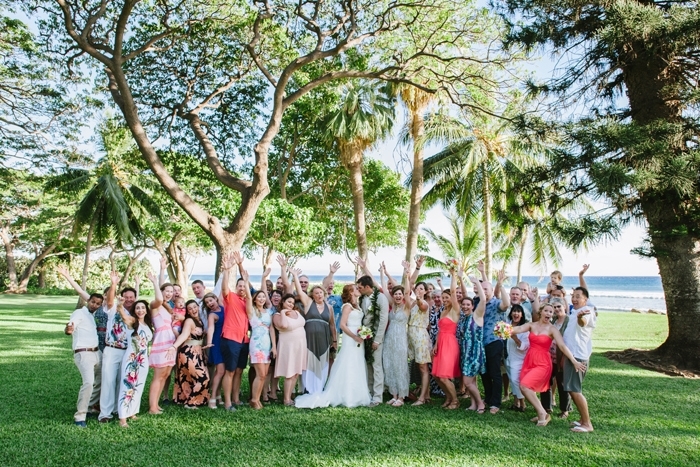 We were able to spend quality time with our friends and family before, during and after the wedding. 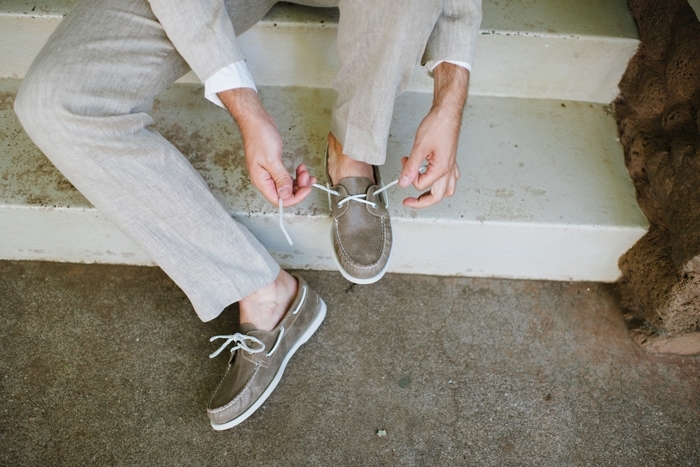 Decide what is most important to you and don’t let all the little details stress you out. 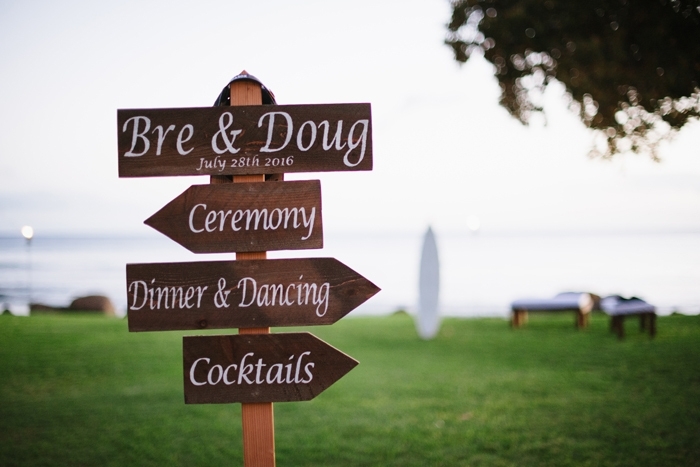 The day of the wedding goes so quick so don’t forget to stop, take a breath and enjoy every moment!